The authors are with Department of Defense, Fort Meade, Maryland 20755. 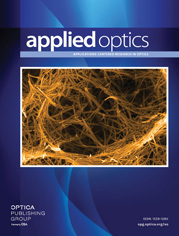 The use of a photorefractive material as an adaptive beam combiner is described. The beam combiner is demonstrated in an interferometric optical signal processor. The photorefractive beam combiner offers the advantage of exact phase matching between interfering beams over an extended period of time.